Marie Adélaïde of Savoy, Dauphine of France, was born on the 6th day of December, 1685. 1685 was, of course, a big year for the 17th century, and this Seventeenth Century Lady’s birth is often overlooked. She had a short life, sadly, for she died only 26 years later. 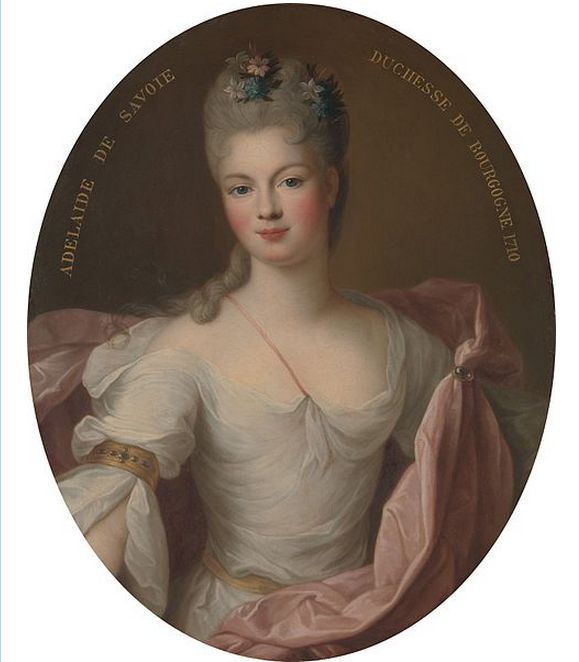 I’ve been quite intrigued by this young lady, who seems so elegant and lovely in her paintings, and the importance of her role as the mother of King Louis XV is such that I’m surprised no one talks about her more often. Unknown artist, image from Wikimedia Commons. Marie-Adélaïde was the daughter of Victor Amadeus II of Sardinia (whose notorious affair with Jeanne Baptiste d’Albert de Luynes was dramatised in the film The King’s Whore) and Anne Marie d’Orléans, who was in turn daughter of Minette, Duchesse d’Orléans, the favourite sister of King Charles II of England. Minette was therefore Marie-Adélaïde’s maternal grandmother. 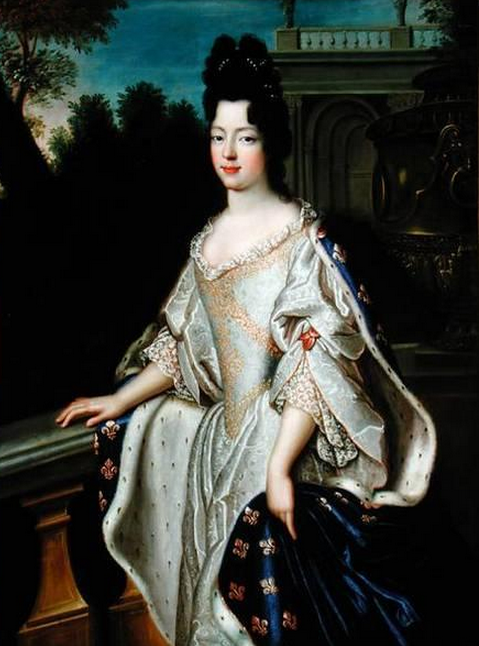 Aged only eleven, Marie-Adélaïde married the very dashing fourteen-year-old Louis de France, duc de Bourgogne in 1697. In celebration of this union, King Louis XIV held a great ball in the Hall of Mirrors in the exquisite Chateau de Versailles. Apparently, Marie-Adélaïde had not only beauty but a wonderful youthful joy that radiated throughout the King’s increasingly aged court. Read more from Versailles. 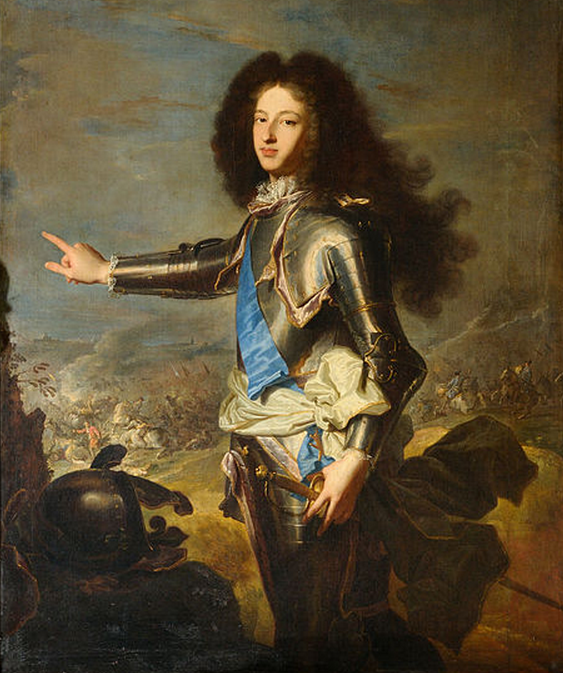 Louis de France, duc de Bourgogne (1682-1712). Painting: Hyacinthe Rigaud (1659–1743). Palais de Versailles. Although they were married for political reasons, Louis fell deeply in love with his bride, who was also his cousin. Together they had three sons, the youngest of which became King Louis XV of France. 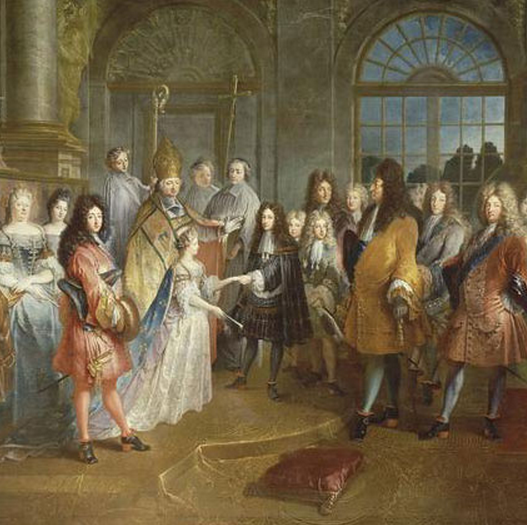 Mariage du duc de Bourgogne et Marie-Adélaïde, 1697. 7 décembre 1697, de Antoine Dieu, XVIIe siècle © RMN / Daniel Arnaudet / Gérard Blot par Versailles. The love story between Marie-Adélaïde and Louis is so heartbreaking, because when she contracted measles in early 1712, he stayed by her side until her death, and he died from measles himself only a week later. Their two eldest sons died (one in 1705) the other from measles. What a lamentable story. You know I love tragic romances, so this is right up my street. Portrait de Marie Adélaïde de Savoie (1685–1712), Duchesse de Bourgogne, 1710. Metropolitan Museum of Art. I’m quite keen on this family’s history that I hope to write about them someday! Hello Andrea! I too, have become quite intrigued by this lovely young lady, the Dauphine of France! I sell things on ebay, and my aunt asked if I would sell a few things for her. One of the items was an antique miniature portrait of a hauntingly lovely, 18th c. noblewoman in a filigree ormolu frame, so I set about trying to find out who she was. All I had to go on was a stamp on the cardboard piece between the little painting and the back of the frame that says made in Germany and handwritten in pencil; Duchess Bou – and from there the letters bunched up and became so light that I couldn’t see much less read them! I was going in the wrong direction at first, but after 4 days of looking at her face and about a million others, I finally found her and totally fell in love with her after reading your article about her interesting, tragic, short life. So the reason I’m writing, is to thank you and to let you know that I will be using some of your information in my listing and that I will give you full credit. Oh, and I would LOVE to read more about her and her family, should you decide to write about them one of these days. I know your plate is more than full with reading and writing books, being a wife and also mother to a toddler, but keep up the good work girlfriend, it is very much appreciated!! P.S. I tried to attach a picture of her portrait for you, but couldn’t figure out how!